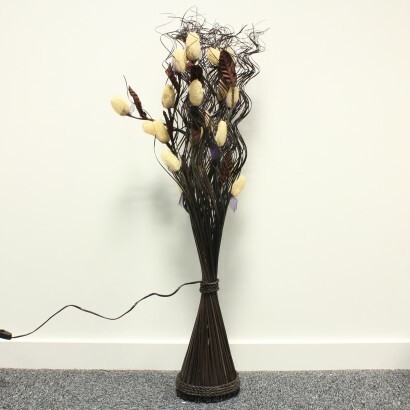 A striking natural bouquet of twenty dried Okra flowers, the White Okra Floor Lamp is handmade in Thailand from all natural products and is sourced directly from the craftspeople themselves. 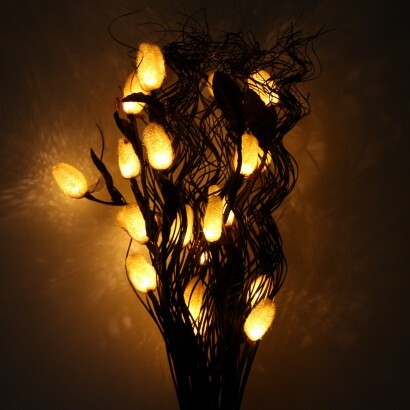 The delicate flower lights are set into the centre of a rattan wave base and the fairy lights set into the Okra flowers cast a warm, enchanting glow. 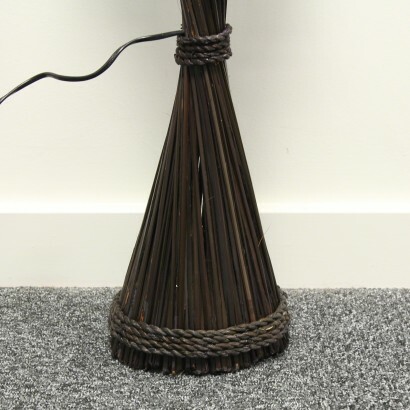 A beautiful mains operated floor lamp that stands approximately 95cm tall (hand made, sizes can vary), the natural cream and brown tones compliment most colour schemes which means that this charming lamp will be at home in any home. Excellent, better than expected. Good size. 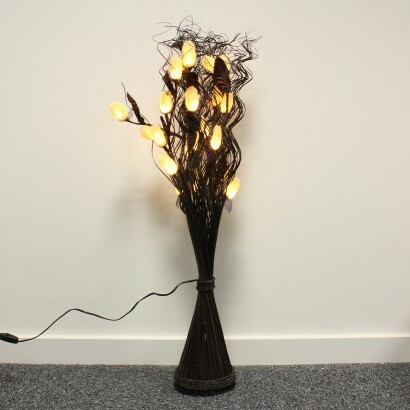 Stunning lamp switched on or off, gives out a lovely warm glow. Would definately recommend. Just received my order of numerous dancing flame candles. They are tremendous and I am about to order more as my 4 year old granddaughter will love them this Christmas. This is such a great website I can't wait for my next order to arrive. Love this! Bought for my beauty salon and put in window - get many comments and people asking where from.